Easter has always been one of my favorite holidays. As a kid we always used to get together with my extended family and just have fun. 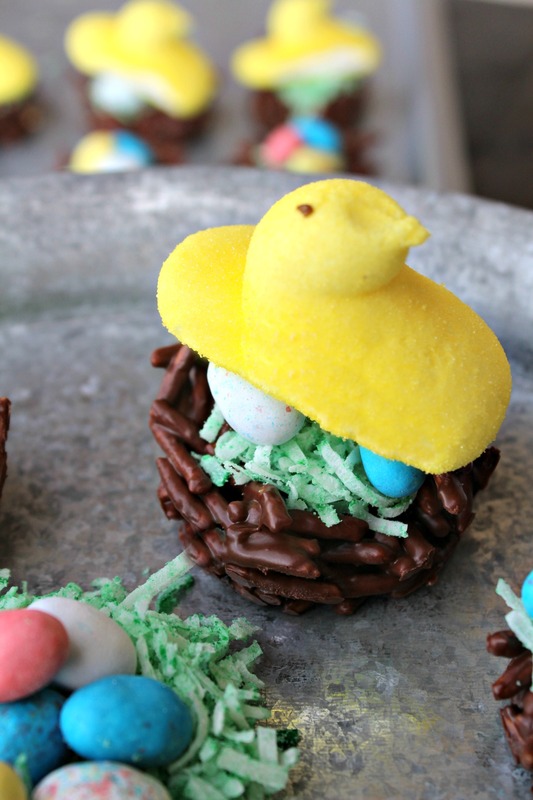 Easter egg hunts, BBQ lunch, hitting each other over the head with cascarones. Oh the fun! Once my sister had kids, the fun grew even more. For years my niece Sydni insisted I dress up as a bunny every year. And every year I would forget until she reminded me the day before Easter. So there I was rushing to get a plain white tshirt, bunny ears and stuff to make that tshirt into a bunny shirt. 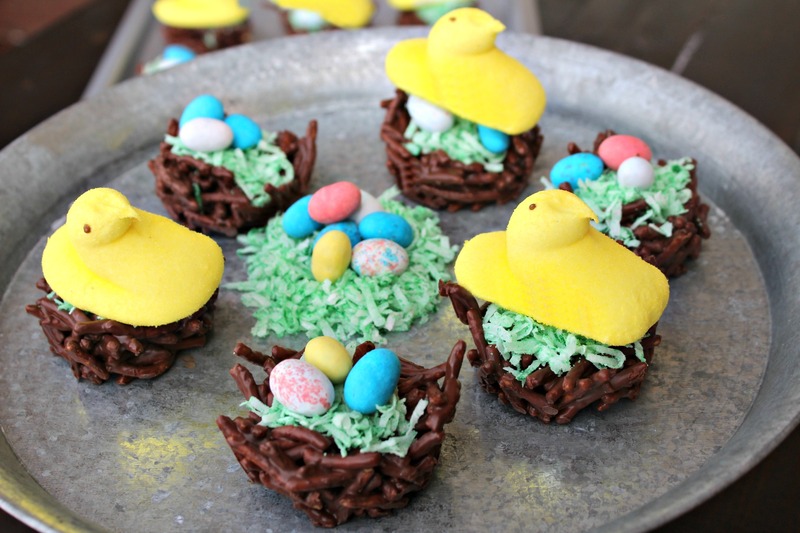 Now that the kids are 15, I am looking at alternatives to make Easter special for them. One thing I am doing is bringing back these treats for them. 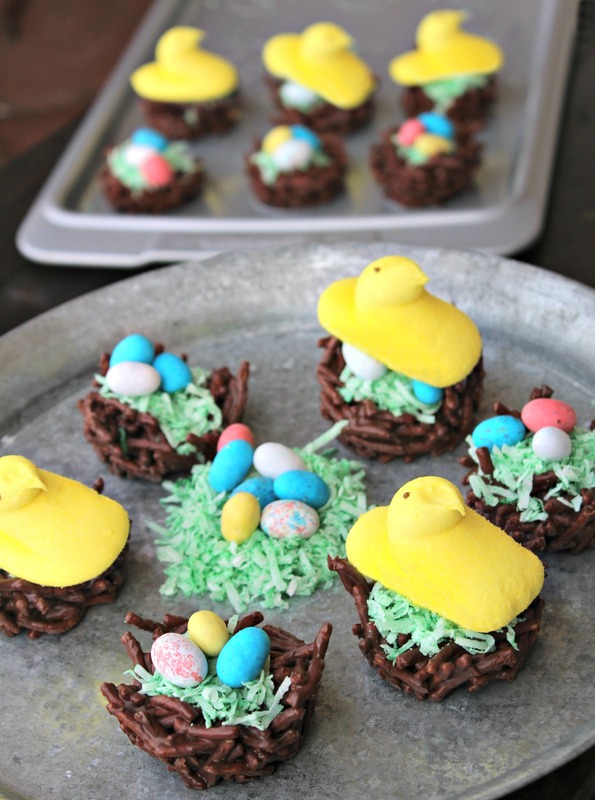 Previously I made a Nutella version (excuse the old pics) but this year I made mint flavored haystacks and added Peeps for decorations. Scrumptious. Melt the chocolates and butter together. My method is to bring a saucepan of water to a simmer then place a bowl on top of the pot (not touching the water) and melt the chocolate. Add in the chow mein noodles. Mix to combine melted chocolate with the noodles. Prepare a muffin tin by spraying very lightly with cooking spray. Divide noodles evenly among the tins and form a “nest”. Let sit until chocolate sets or place in the refrigerator for 30 mins. Tint coconut flakes by adding green food coloring with coconut then mixing together with your fingers. 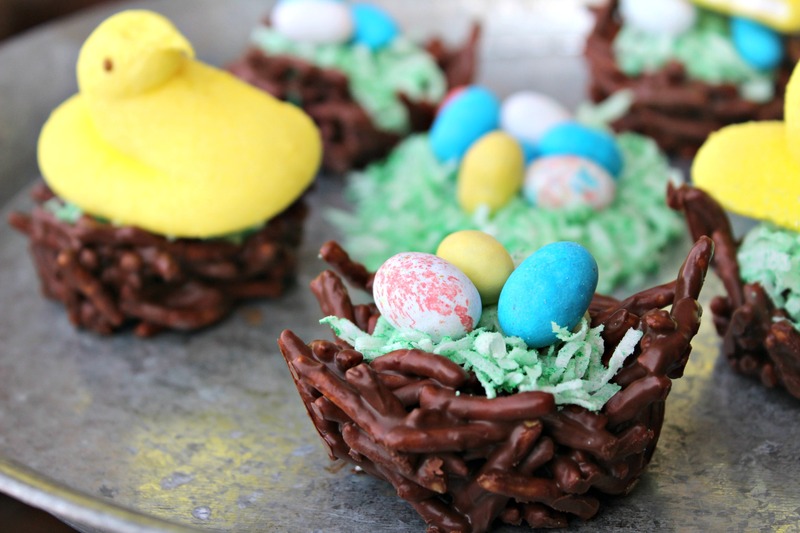 One nests are ready, add coconut grass, Robins Eggs and Peeps to decorate.